Vittoria’s Barzo; a day in day out performer. A cross-country tire ready to take on big terrain and sharp rocks, Vittoria Barzo is aimed at trail and cross country racers. Updated with Vittoria Graphene and it’s new 4C compound, the Barzo is turning fast times and heads. Can this tire genuinely offer the best of both worlds? After many miles both up and down mountains, we think this could be the do-it-all race tire that new technical cross country courses are begging for. 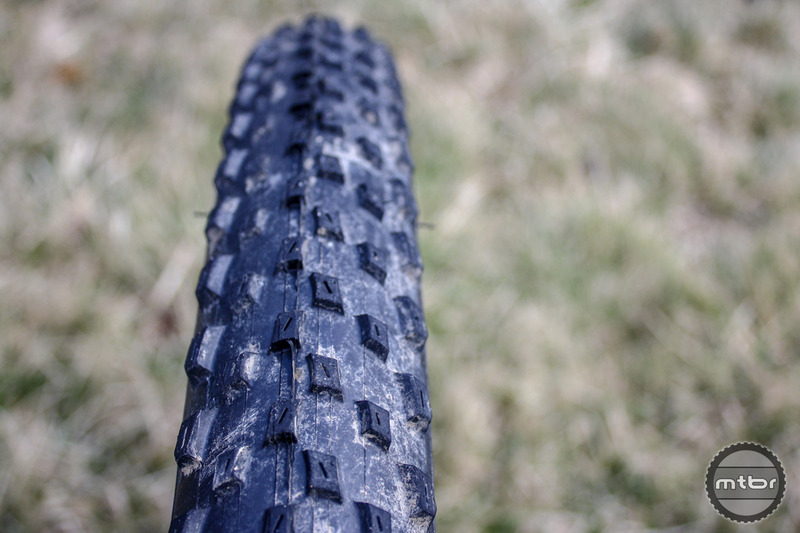 Cross country tires miss a large segment of the trail riding community, often seen as narrow, not grippy, paper-thin, race-only rubber. It appears Vittoria has developed their cross-country line to look beyond the race course and more into trail riding in general. Part of this push comes from the addition of more demanding cross country courses and a push for more utility and adaptive design. Vittoria calls the TNT sidewall color-Anthracite. New tech from Vittoria helps make this possible; 4C Compound and Graphene. The 4C process is said to offer versatility to the tire, by allowing for separate base and surface compounds, in both the center and side areas of the tread. Benefiting from the different properties of each compound, including Vittoria’s G+ Isotech. Graphene is the newest buzz word for all things fast in Vittoria’s world and they are proud to show it off in an updated cross country tire line. Right out of the packaging, the Barzo doesn’t feel like your typical race tire; it feels robust and sturdy. The sidewalls are thick but feel supple and have a distinctly different color from the tread. Weight is at 575 grams for a 29×2.25 so the Barzo is a lightweight option for many cross country and trail riders. Tubeless setup was a breeze; only requiring a tire lever and a floor pump. One notable characteristic of the casing is the clear bead line; there is zero trouble getting the Barzo to seat evenly. The Moto-block square knobs on Vittoria’s Barzo offer stability and durability. Vittoria’s Barzo tread is sharp, designed for wet conditions and technical cross country racing. Lugs on the Barzo are cut to give the tire a rounded profile and dig into damp terrain. 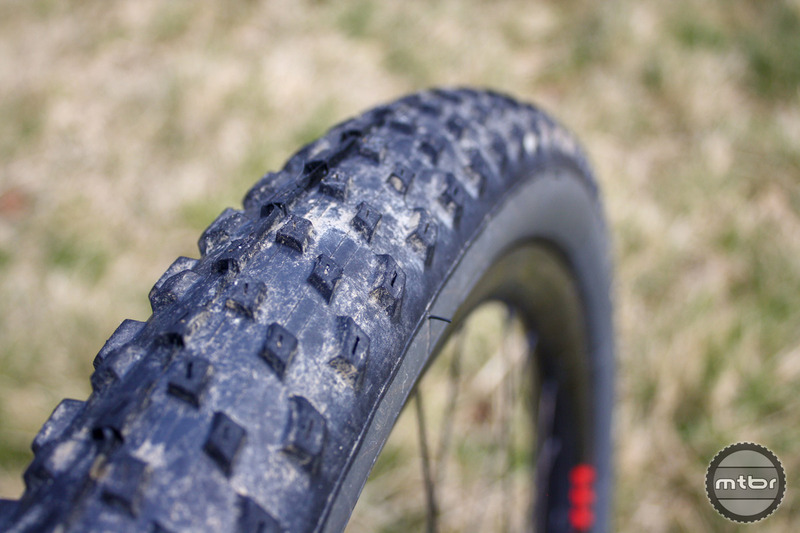 The rounded pattern is predictable on the trail, knowing how the tire will react to corners with no wash-outs or surprises. The opposite side of the lugs provides a substantial amount of bite when climbing seated or standing. The lugs offer excellent braking performance and minimal rolling resistance while clearing mud and debris easily. The Barzo shines in the key area of grip. And in nearly every condition I threw at it, the tire performed solid. Only in super dry, sandy conditions is where I noticed a hiccup in traction. 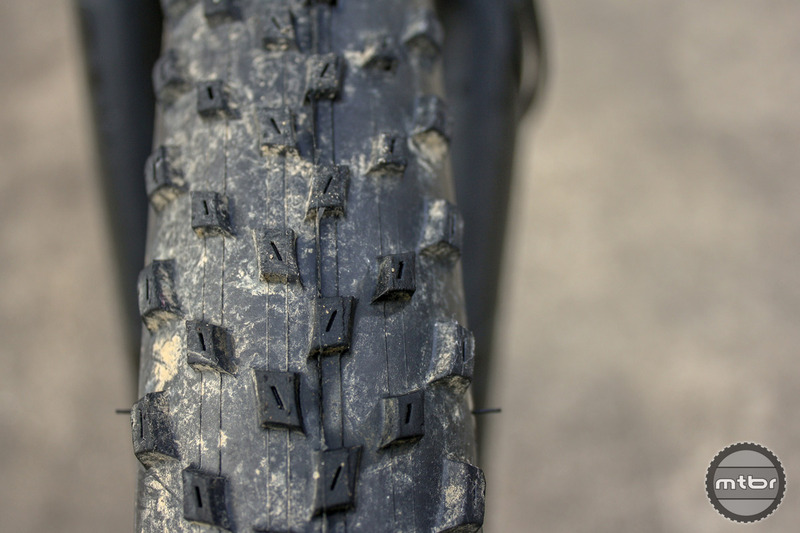 Vittoria’s 120 TPI TNT casing is bomb-proof (in a cross-country sense) I have experienced zero flats or cut sidewalls, even sliding around on sandstone. For most of my rides I run the Barzo at 22-24 PSI and found that gives the most traction and cushioning, but I have ventured into the 17-19 PSI area and suffered zero burps and minimal sidewall folding. 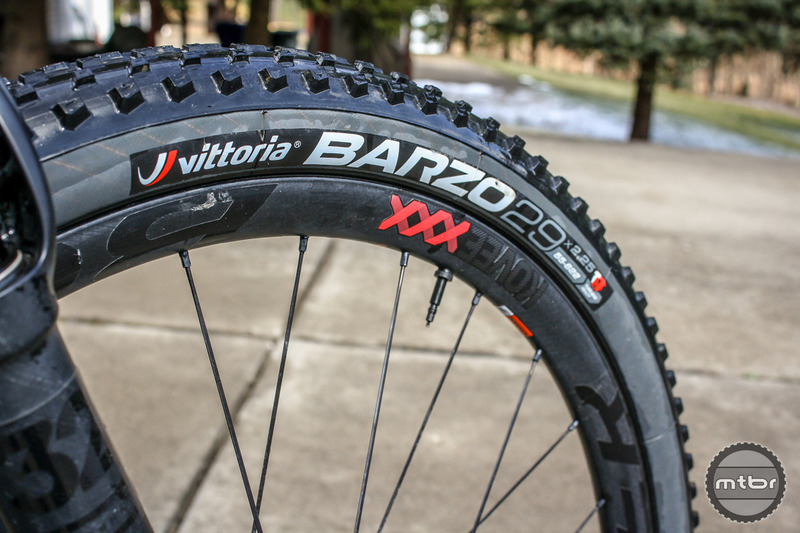 Vittoria’s Barzo tread is sharp, designed for wet conditions and technical cross country racing. Knob wear is consistent with the mileage I put on the Barzo’s, and knob integrity is still intact. I usually find after 250-300 miles on a tire the knobs will crumble off or lose design, but I’ve experienced none with the Barzo. Often, we’re always compromising with our gear to suit our riding style, whether it be for: weight > durability, speed < grip, or what have you. Sometimes a piece of equipment comes along that seems to achieve both so well that it’s surprising. Vittoria’s Barzo ticked all the right boxes for me; Multi-conditional extended wear and race ready. If you’re an XC rider, who loves to shred more than race courses or a trail rider looking for some free speed you need to check out Vittoria’s Barzo; a consistent performer. I just picked up a pair of these. They weighed 681g and 684g. The non TNT are 525 g — looks like Jordan did not weigh his tires and went with the first value on the chart.The 680g is the TNT version.